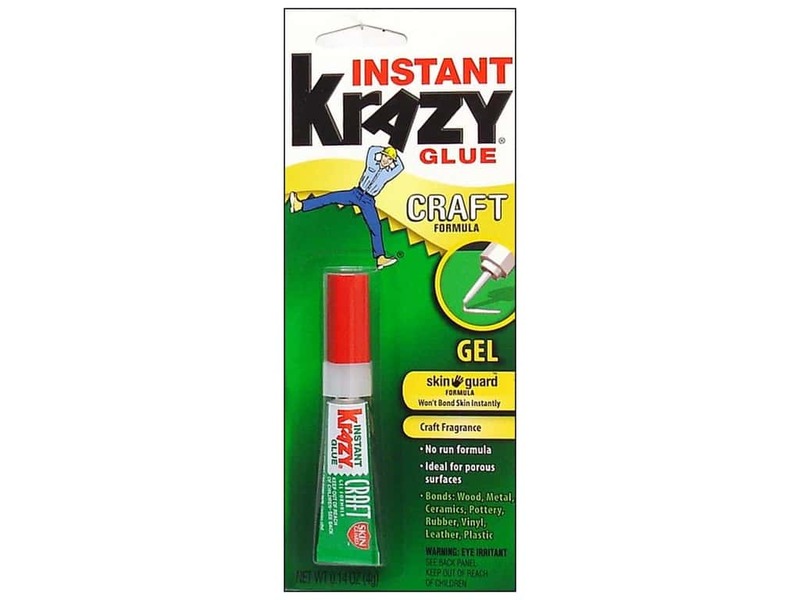 Description: Krazy Glue Craft Formula Gel is perfect for filling gaps on porous surfaces like ceramic, wood, metal, pottery and more. The no-run Gel Formula allows for gluing vertical surfaces without a drippy mess and also allows for gluing two mismatched surfaces. Delayed skin bond with Skin Guard gives you extra working time. 4 gram.